Are you an entrepreneur in Nigeria, here are 7 funding programs you should know. For many entrepreneurs around the world, access to financing is a major concern. In “Listening and Learning for Success – What Nigerian Women Entrepreneurs Need,” I describe the needs of women entrepreneurs in Nigeria. Amongst the top issues discussed, was finding methods to reduce the costs associated with doing business in Nigeria and the need for competitive interest rates on loan products. Many young entrepreneurs in Nigeria feel that they cannot start a business because they do not have access to the capital required, and those who have started a business feel that there is little to no access to capital to expand or move on to the next level. It is important to highlight the grants, competitions, and prizes available to entrepreneurs around the world. Some of these funding programs are annual, while others are a one-time event. This article aims to inform entrepreneurs living in Nigeria of seven (7) funding programs to know. Some of these government programs and private organizations seek to increase accessibility, equality, and transparency by supporting the growth, development, and sustainability of businesses in Nigeria. The Lagos State Employment Trust Fund (LSETF) – this is an initiative of the Lagos State government. The mission of the fund is to create employment and wealth for all Lagosians. The fund wants to target 100,000 small to medium-sized enterprises (SMEs) by 2019. Through the fund, entrepreneurs receive a loan at 5 percent interest rate per annum. It is also important to note that 20 percent of SMEs in Nigeria call Lagos home. Participants of this program have received funding as high as 5 million naira. The Made in Nigeria Business Challenge (MINC) – this is an initiative of the Senate President, Bukola Saraki’s office. The challenge was created to promote nation building and to celebrate everything uniquely Nigerian. The ‘Made-In-Nigeria’ challenge provides entrepreneurs with locally sourced products a platform to connect with government officials, agencies and an opportunity to discuss how the Senate President can continue to support entrepreneurial efforts through policy changes and legislation. The Tony Elumelu Entrepreneurial Program (TEEP) – is an initiative by the Tony Elumelu Foundation that provides a $5000 seed capital to enterprising young people with good ideas. 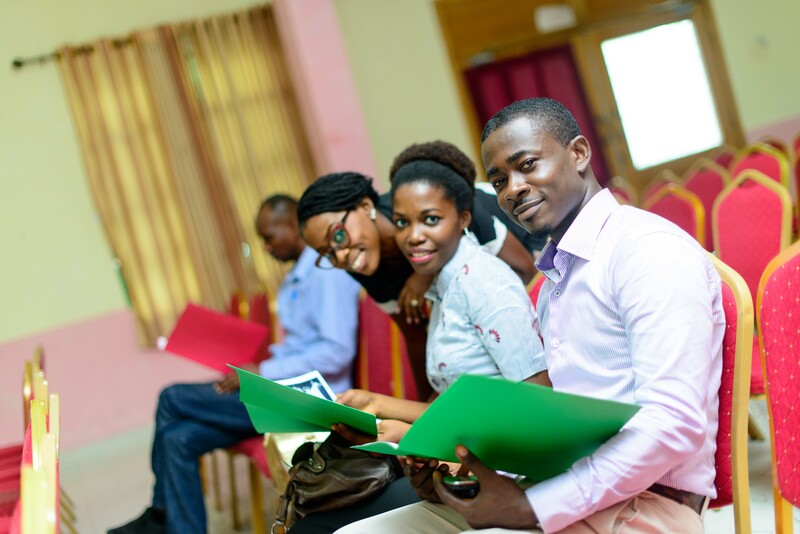 TEEP requires its program participants to attend an intensive business training and mentoring course. To date, the program has reached a total of 51 African countries with an investment of over $ 4 million. LoftyInc Capital Management (LCM) – is an initiative of Idris Bello and partners. The firm recently announced the launch of a new $25 million fund for African entrepreneurs, which will focus on early stage Africa-facing enterprises that leverage technologies to create social impact and tackle big problems. The AWP Network – founded by Mary Olushoga is a platform powering business success for African entrepreneurs. The platform helps you to turn your ideas into a reality. What can you expect from visiting the site, you can: read a story about an entrepreneur, attend an event, learn how to apply for various business grants and competitions, how to pitch, write a business plan, create a pitch deck and be connected to experts from around the world. Omojuwa Small Business Support Fund (SBS) – is the initiative of Japheth Omojuwa, chief strategist at Alpha Reach, the small business support fund provides grants ranging from 50,000 to 120, 000 naira to business owners in need of funding support. The purpose of the fund is to help young Nigerian entrepreneurs starting a business, it also provides existing businesses with the additional cash flow to move forward. The fund recently disbursed over 2 million naira to over 30 businesses. In addition, will help awarded entrepreneurs with website development services, media and professional support as well as business development training from volunteers. Iam a graduate of Accountancy by name Irene Nwanne Agbai.I don’t have a job but needs an assistance to set up a business in order to assist my husband and my family. He is a state civil servant with increasing back log of salaries.Infact,it has not being easy.I just need CAPITAL and don’t know if you can help. I want to have a shop of my own. i want to be a boss. pls,help me.